A new thread to continue the off-topic convo from the "RP as EC" thread. Adult means old enough to take part in adult conversations -- you know if this means you. Here are the members. If anyone is missing or a new member needs to be added, just say so! Last edited by ♥midnight_sun♥ on Fri Jun 19, 2009 11:17 am, edited 6 times in total. Wow. Brand-spanking new thread already. Ashley~ Yes, thank you. I was in the middle of christening our brand new shiny thread when my computer decided to smoke some nonRobCrack and go random shut down on me. *inhales deeply* Ahhhhh, Shiny New Thread Smell...mixed with....a little.... vanilla. Yes, highly satisfying. And also, some of this, for good measure. Sorry guys. I think my laptop has been on a little too much RobCrack today. Best to call it a night. Though, Ashley, I am ashamed, MiniMe. How could you not make sure to welcome our shiny new thread with a whole hell of a lot of this. I'm just sayin'... I mean, that right there is the reason we're all here in the first place, right? Well, I knew there must be a reason I couldn't fall asleep just yet- SHINY NEW THREAD!!! Jazz Girl wrote: Ashley~ Yes, thank you. I was in the middle of christening our brand new shiny thread when my computer decided to smoke some nonRobCrack and go random shut down on me. Thanks Caryn! Ahhh...Prev Couch! Now it feels like home! 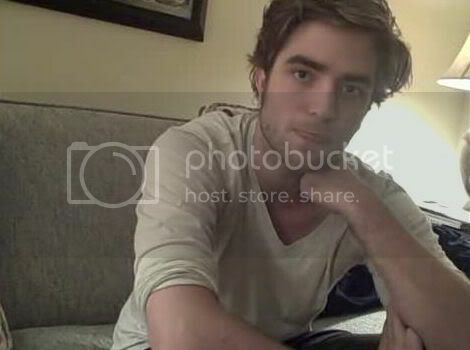 I'm off to snuggle with e-Rob on The Couch! G'night all! Love all the "christening pictures" you guys are all posting! Caryn- thanks for posting the hug on the old thread... I needed it! You are great! Thanks for the lovely videos you posted earlier Kristiner! I still say that Rob and Kristen's almost kiss on the awards show last night was nearly unicorn-inducing . Well, we have officially christened our new thread with all the officially trade marked things I believe. So, I give you this. But, before I forget, Caryn I give you this. I'm sad I didn't get to say goodbye to the old thread. Alas...atleast you lovelies have already christened the Brand New Thread and made it home. I said it before a couple times... I thought the Almost Kiss at the Movie Awards was Hott. With a capital H. and two t's. Also funny. Scooch on over on the PervCouch, Sandy... I'm having a moment. And yes... shiny new thread... and vanilla... and BoySmell. My fave. Kristiner... love the new banner. E-wife, great job. Caryn... the problem with Season 2 is that regular cast members get replaced. I ain't movin'! Anyway... I'm beat. Hasta mañana, mi amigos. Huh, no idea where the random Spanish came from. Whatevs! Talk to yall tomorrow.